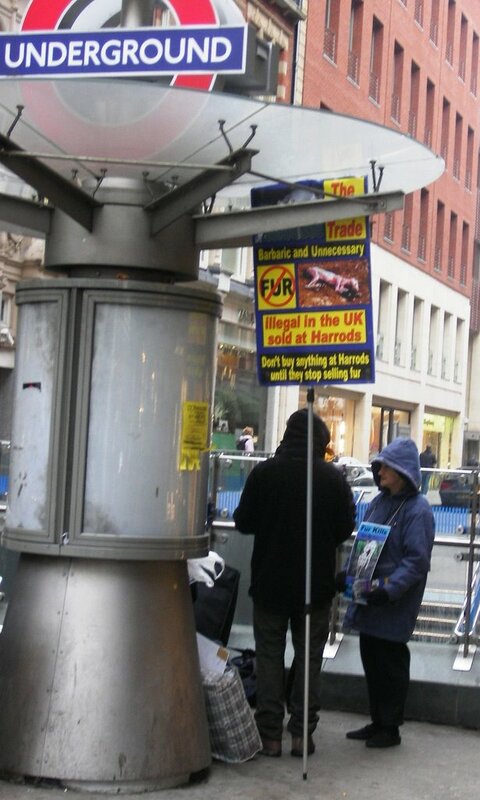 Just outside Harrods in Knightsbridge, London, immediately above the exit of the Piccadilly Square Underground, a dozen or so animal activists chanted, waved banners and handed out flyers about the "horror of the fur trade." Most shoppers ignored the protest, so accepted the flyers, but all went about their business of spending money for Christmas. Harrod's security people, good naturedly looked on. Seemed a very English way to protest.